Run Jack Run 2012: RJR Logo Winners Announced! THANK YOU to all 34 of the RJR Logo Design contestants! We received so many fantastic designs. 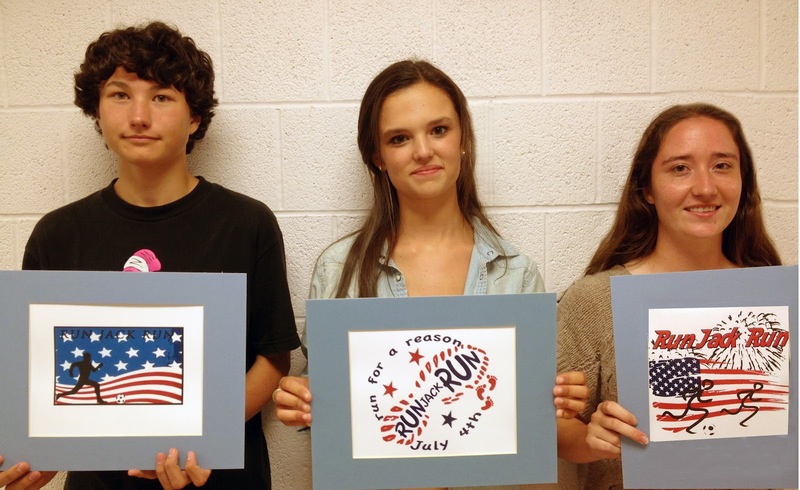 Here are the official winners... from left to right: Bailey Snow, Lily Pariseault, and Lauren Adams (Honorable Mention). They each received Visa gift cards today as their prizes! Logos are the first coat of paint on a website/brand. I almost said the foundation but I think a content management system like WordPress is more of the foundation. We use logos as starting point of the sites we design.